I noticed awhile back, but did not think too much about it. 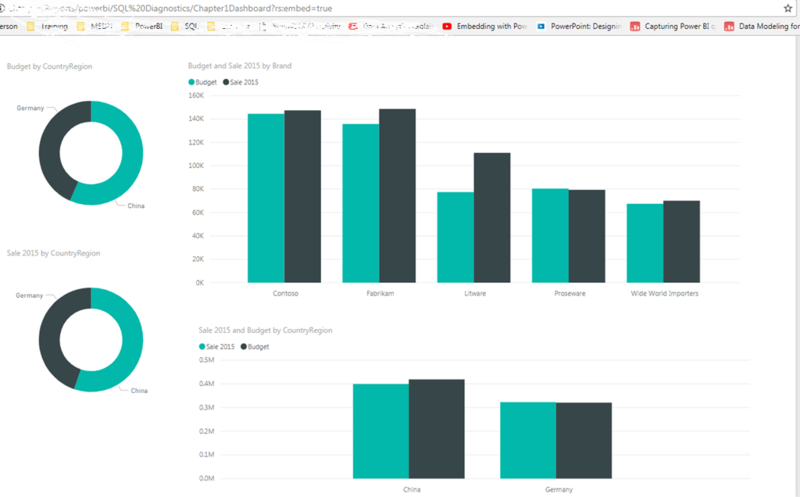 The viewing of Power BI Reports in Power BI Report Server has a banner, bread crumbs and menus that take some display space away from the report. Someone on an email chain suggested full screen option, which should be implemented. But, someone had an idea. Add ‘?rs:embed=true’ to the URL – http://DEVPBIRS:80/Reports/PowerBI/AdventureWorksDashboard?rs:embed=true . So, if the end user wants a full screen, there is a work around. Pretty nice. 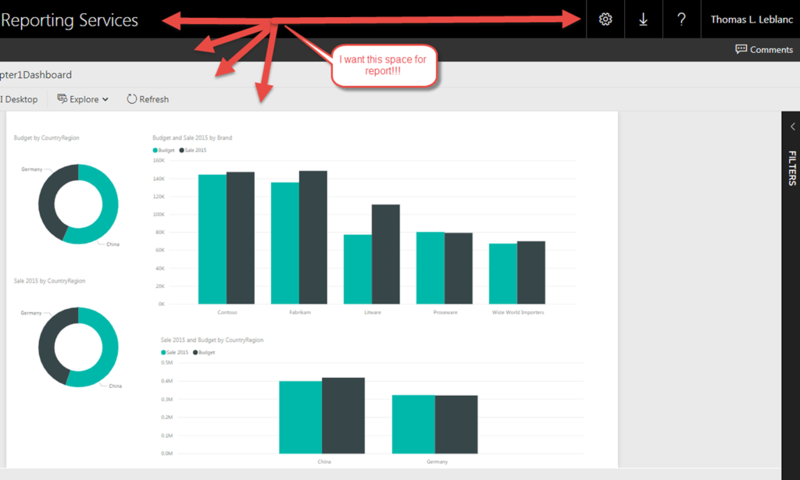 PLUS, this also means you can embed Power BI Reports from the on premise solution in applications like SharePoint or a custom .Net Web App.